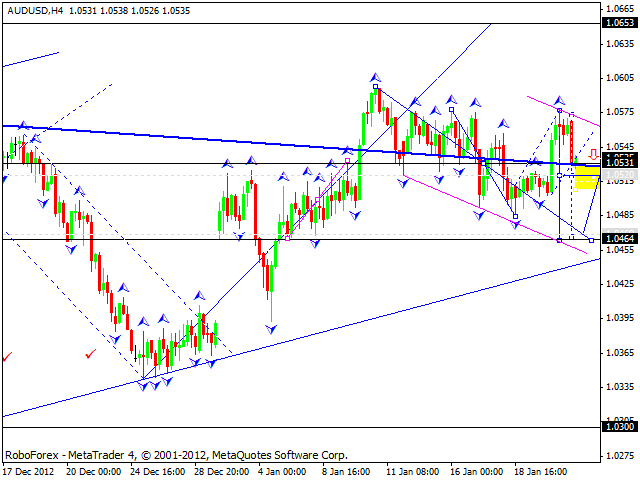 The EUR/USD currency pair is still moving inside triangle pattern. The price has fallen down towards the pattern’s lower border and now may try to test the upper one and reach the target at 1.3380. 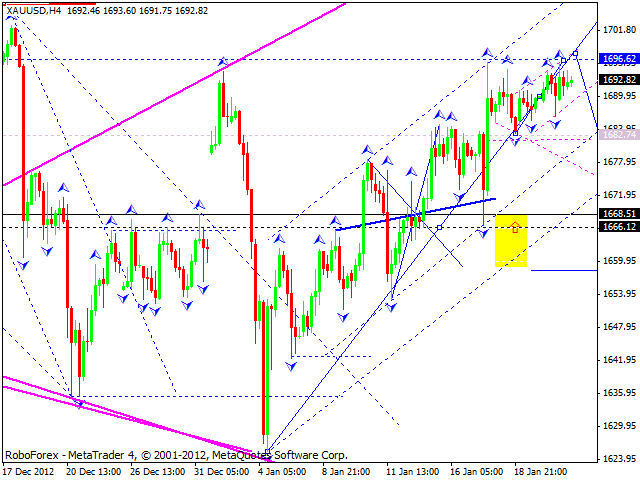 The market has already formed four structures inside the pattern and today I expect it to complete the fifth one. I think the pair may leave the pattern downwards to reach the target at 1.3150 and then start a new ascending movement towards the level of 1.3500. An alternative scenario implies that the price may leave the pattern upwards to reach the target at 1.3500 and then start a correction towards the level of 1.3080. The GBP/USD currency pair is still consolidating near its minimums. I think today the price may grow up towards the level of 1.5885 and then move downwards again to break the target at 1.5845, thus forming a reversal structure for a new, deeper correction towards the level of 1.5995. 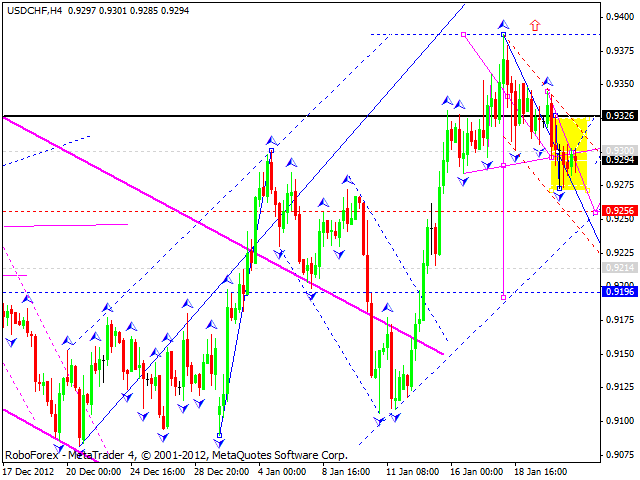 The USD/CHF currency pair couldn’t start a correction towards the first impulse. 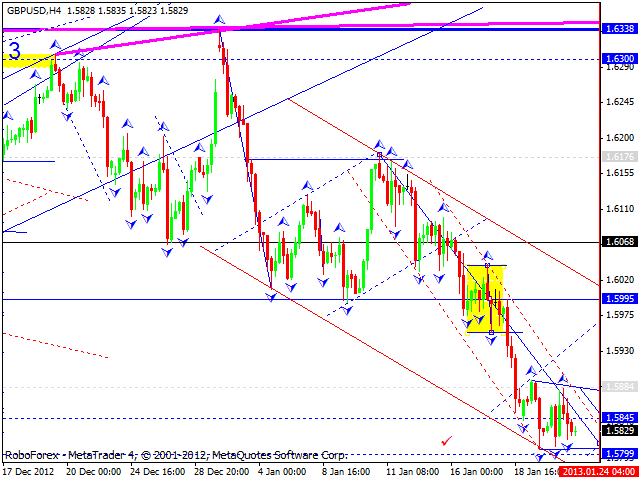 As a result of this consolidation we can see a continuation pattern. In my opinion, today the price may continue falling down towards the level of 0.9260. After reaching it, the pair may move upwards again to reach the target at 0.9300 and then fall down to break the level of 0.9215. 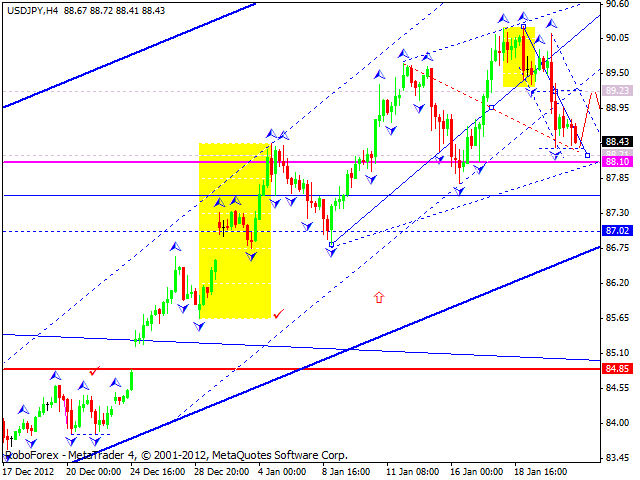 The USD/JPY currency pair is still moving downwards. I think today the price may reach a local target at 88.20, grow up towards the level of 89.25 to test it from below, and then start a new ascending movement to break the target at 88.10. Thus, this wave of the current correction may be considered completed. Australian Dollar is forming another structure inside a descending wave. I think today the price may reach the target at 1.0520, consolidate for a while inside a narrow trading range, and then leave it downwards to continue forming the wave. A local target is at 1.0470. Later, in my opinion, the pair may move upwards to reach the level of 1.0520 and then start a new descending movement to break the main target at 1.0465. This may be the end of this correction. 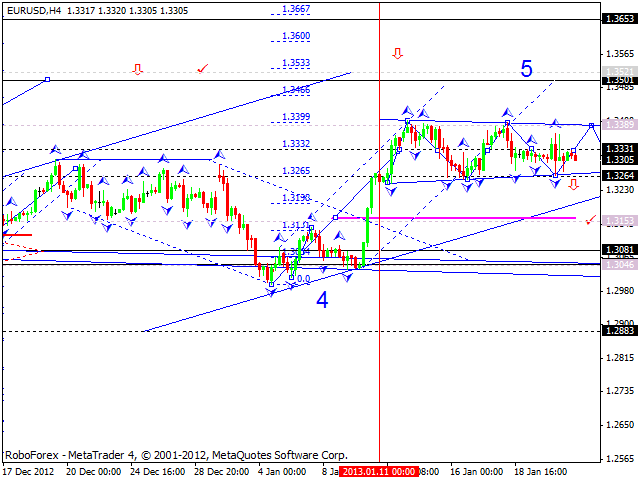 After that I expect the price to start growing up and reach the level of 1.0700. Gold is still moving near its maximums. It looks like the market is going to reach a new maximum. Later, in my opinion, the instrument may start a correction towards the level of 1670 and only after that continue moving upwards to reach the main target at 1707.